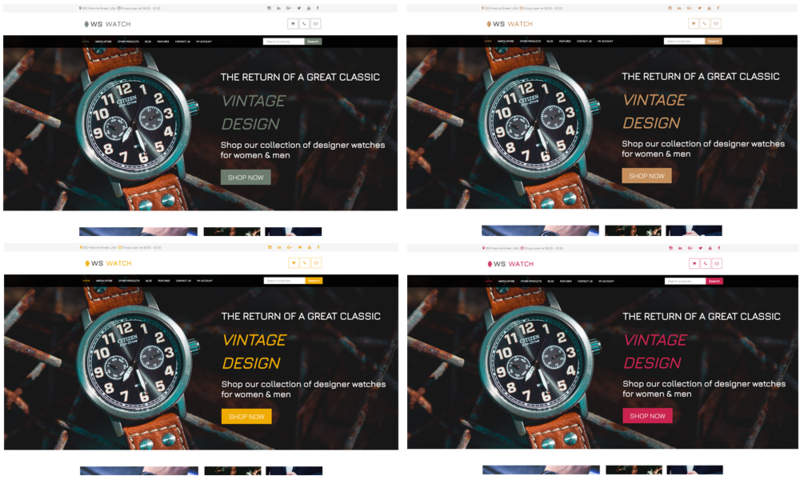 Best Free Watch WooCommerce WordPress theme builds with Genesis Framework, shopping cart supported by WooCommerce 3.x, Responsive Layout, Easy to Customize! Luxury watch need the same high-quality presentation online, and refined ready-made designs from this collection will help you boost any watch-related company. 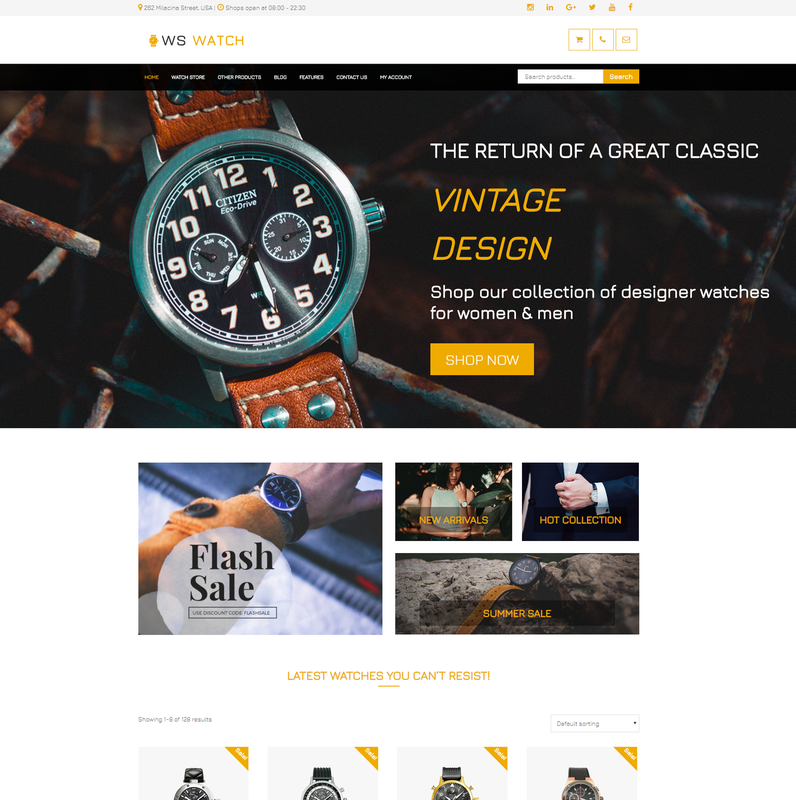 WS Watch is a Free Watch WordPress theme which is intended to watch shop online. Whether it sells or promotes eye-glasses, handbags, accessories, or whatever fashion items, these templates placing noteworthy attention on products will help engage more people in and thus increase brand awareness. Customers will have great shopping experience in your site not only by its nice design but also its convenience, all necessary information about the product can be shown without changing current page by Quick Look, Add to Cart,… button. 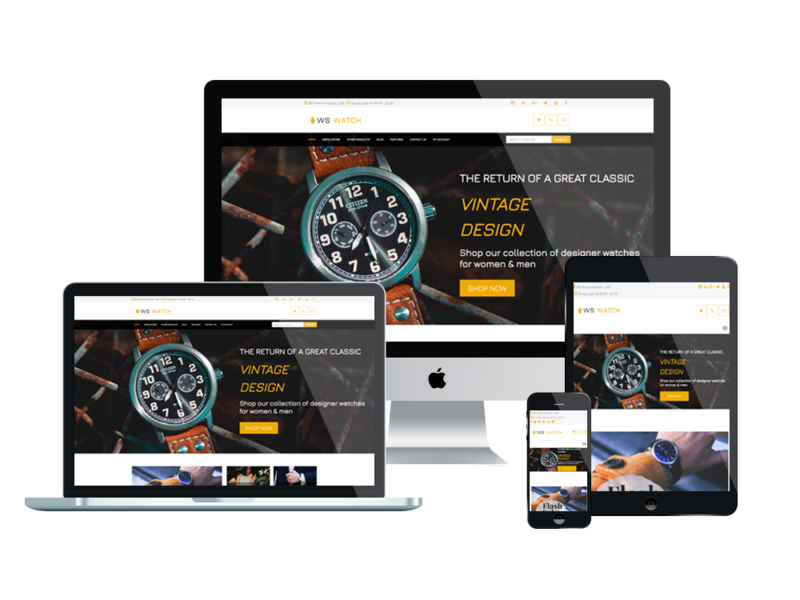 Your responsive template is also cross-browser compatible; you only need one website that will look and function brilliantly on any browser and device your users choose. Your customers can use their smartphones or handheld devices and experience the same high quality as they would on a PC. With all customers going to just one site, you benefit from enhanced SEO. Please, browse our watch WordPress theme or use multiple searches to find the right template for your project.